We have set up this group to discuss short sales with GMAC and to provide information and resources, and share experiences with GMAC mortgage Short Sale Programs and Processes. 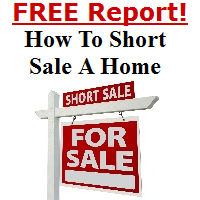 The First Place to start is to find a local GMAC Short Sale Agent! There is no cost involved in this! Share your experiences about GMAC Short Sales Below! You need to be a member of GMAC Short Sales to add comments! Just got approval from on Friday...GMAC was wonderful and quick. Everything was fully uploaded last Friday, the 13th, turned over to underwriting and approval was give around lunchtime the 27th. **secret---full in all MHA Forms, collect financials, and upload everything to equator at same time with your listing agreement and full contract, also per-order HUD-1 prelim from escrow and title report to upload at same time as well. The key is get all doc's before you initiate the request....contact me for additional info or guidance. Has anyone ever processed a GMAC shortsale through Equator? I was told that's where to do it but GMAC is not one of the servicer options. Help? For the most part we like GMAC Mortgage Short Sales. When they are the 1st position loan they go very fast to process and approve. When they are 2nd position, they can be a bit difficult sometimes. $2500. I have not had a bank reduce my commission to 5% on a short sale in two years. I guess they don't understand that Realtors have a long memory and when this market turns around, GMAC's name will be probably not be on our minds when giving out potential lender names! Has anyone dealt with REDC? I too was able to get Wells Fargo to raise my commission two years ago back to 6% when they tried to cut it to 5%, but have not submitted a short sale to GMAC. Most of my short sales are BOA and Wells Fargo which are great to work with. Another great successful close on a short sale with GMAC! APPROVED in less than 30 days! NO Joke! I submitted a clean package, and got assigned a negotiator, and an approval was faxed over to me. :) Happy Camper my buyers and sellers..
Well, my best experiences are with distressed asset investors who are trying to get return from the deeply discounted asset they purchased. I actually has one say to me: "You know, Michael, if you need a couple thousand dollars to get the deal done, we can do that". Of the four major Servicers (BofA, Morgan-Chase, Wells and Citi), if I were required to choose one, I would choose BofA. Regarding the "across the board" GMAC experiences, it's going to be highly Investor/Insurer specific, I think. Whats the best company to work with to get short sales? Does anyone have supervisor contact - second position, verbally agreed to the amount 3 weeks ago. The negotiator went on vacation - he's back but still has not sent the approval over. Buyer trying to close this year.